Gold and silver lead precious metals futures in year-to-date gains, with the former up 26.3% and the latter up 41.9%. Precious metals soared on Friday with safe-havens in favor on worries over Brexit. 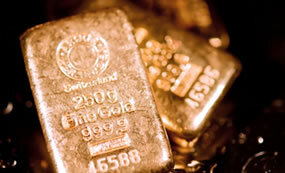 Gold and silver futures posted their fifth straight weekly increases. Both closed near 2-year highs. Gold for August delivery on Friday tacked on $18.40, or 1.4%, to settle at $1,339 an ounce on the Comex division of the New York Mercantile Exchange. "Macroeconomic risk and geopolitical risk were already setting gold and silver up for a good year – the Brexit fall out has just been the icing on the cake," Bloomberg News quoted Mark O’Byrne, a director at brokerage GoldCore Ltd. "These metals will continue to outperform as market conditions remain unstable." Gold’s close marks the highest price since July 10, 2014 when the yellow metal ended at $1,339.20 an ounce. Prices advanced 1.3% this week, after rising 6.9% in the second quarter, and they are 26.3% higher on the year to date. "Apart from a potential rally for the U.S. dollar, one other risk facing precious metals is profit-taking," MarketWatch quoted Fawad Razaqzada, market analyst at Forex.com and City Index. Conversely, a weaker jobs report, due for release July 8, will "once and for all put to bed talks of a rate increase in 2016," and that would be "good news for precious metals." "A total of 15 analysts and traders took part in Kitco’s survey, with a whopping 73% calling for higher prices next week. At the same time, 20% expect to see lower prices while 7% are neutral. Meanwhile, on Main Street, 574 participants voted this week. A total of 372 respondents, or 65%, said they were bullish for the week ahead, while 119, or 21%, were bearish. The neutral votes totaled 83, or 14%." Advancing for the eighth time in nine sessions, silver for September delivery rallied 96.5 cents, or 5.2%, to close at $19.588 an ounce. The settlement is the highest since Aug. 28, 2014 when the precious metal ended at $19.61 an ounce. Silver prices jumped 10.1% this week, driving up their year-to-date gain to 41.9%. October platinum settled up $32.80, or 3.2%, to $1,057.10 an ounce, advancing 7.1% from last week. Palladium for September delivery rose $8.30, or 1.4%, to $605.65 an ounce, for a 10.8% weekly increase. Year to date, platinum is 18.4% higher and palladium is 7.8% higher. Gold gained $19.25, or 1.5%, to $1,340 an ounce. Silver soared 88 cents, or 4.8%, to $19.24 an ounce. Palladium added $9, or 1.5%, to $598 an ounce. Their weekly advances totaled 1.9% for gold, 6.7% for silver, 5.3% for platinum and 9.1% for palladium. Gold coin sales advanced 17,000 ounces after rising by 21,000 ounces last week. The weekly splits include 14,500 ounces in American Gold Eagles compared to 18,000 ounces previously, and 2,500 ounces in American Gold Buffalos compared to 3,000 ounces previously. Silver coin sales advanced 938,000 ounces this week — their best weekly total since the one ended May 20, after climbing by 517,000 ounces previously. For a second straight week, all sales came from American Silver Eagles. The U.S. Mint set this week’s allocation of American Silver Eagle at 2,837,500 coins. Bullion distributors ordered one-third of them. 2016 Silver Eagles are running at a record pace with sales of 26,250,500 coins, marking a 20.5% increase over those sold through same time in record-breaking year 2015. Watch for the US Mint to raise its silver coin prices very soon as the Summertime issue of the 30th anniversary Proof & Burnished finish $1 silver coins approaches & silver hit a 2-year high Friday. Even though last year when silver hit 6-year lows a number of times, the Mint didn’t lower its silver coin prices one cent! The US Mint needs to implement a pricing grid for silver coins as they have for gold & platinum coins to be fair. Are you going to publish photos of the Mint’s new Proof 2016-W American Liberty high relief silver medals taken at the West Point Mint & published on June 15 by journalists invited to see them in production there? The San Francisco Mint is also currently striking them in Proof with “S” Mint mark. They look fantastic in Proof instead of Uncirculated like the gold $100 coin from 2015 on which they were based. With silver WAY up in the past week especially, the Mint will be raising its silver coin products prices ASAP!